China urged trade talks with the United States to prevent greater damage to relations while saying that previously announced retaliatory measures on American imports took effect April 2. The United States didn’t respond to China’s March 26 request for consultation on Washington’s steel and aluminum tariffs, the Commerce Ministry said in a statement April 2, adding that officials have widespread public support for tougher measures and repeating Beijing’s stance that disputes should be resolved with dialogue. China previously planned to seek compensation for trade lost because of the U.S. metals actions. 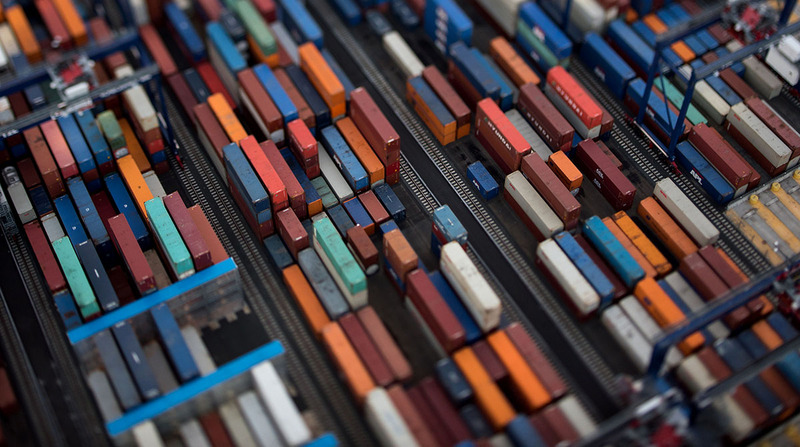 That followed a statement April 1 from the Customs Tariffs Commission saying that previously announced tariffs on 128 kinds of imported goods originating in the United States would take effect April 2. The reciprocal tariffs are valued at about $3 billion, which represents a tiny fraction of its U.S. imports. Those are in response to the U.S. tariffs on metal that President Donald Trump announced in March on national security grounds. Beijing said the move violated World Trade Organization rules. The United States has since announced some exceptions for allies, including Australia and Canada. White House Press Secretary Sarah Huckabee Sanders told Fox News on April 2 that Trump is “doing exactly what he said he was going to do” in order to reduce the U.S. trade deficit with China. China said April 1 the tariffs “caused serious damage” to its interests. Items on Beijing’s original hit list, issued March 23, included fresh and dried fruits, ginseng, nuts, wine, and pork, as well as certain steel products, and its value matches its exports of steel and aluminum to the United States. So far, high-volume agricultural exports to China, such as soybeans, haven’t been swept into the mix. China said earlier it could impose tariffs in two stages: a 15% duty on 120 products, and a 25% tariff on eight other products, including pork, after further assessing the impact of American tariffs. The April 1 announcement covered all 128 products simultaneously. Beyond the actions on metals, the Trump administration is preparing to propose a list of other Chinese products to be targeted with tariffs. Trump announced in March that the United States will impose duties on about $50 billion in Chinese goods to punish Beijing for what Washington sees as widespread violations of American intellectual property. U.S. Trade Representative Robert Lighthizer has until April 6 to release the list. U.S. Commerce Secretary Wilbur Ross said March 28 that an announcement on the measures will come “very shortly.” China has said it has a plan to act further if the import levies on its goods go ahead.